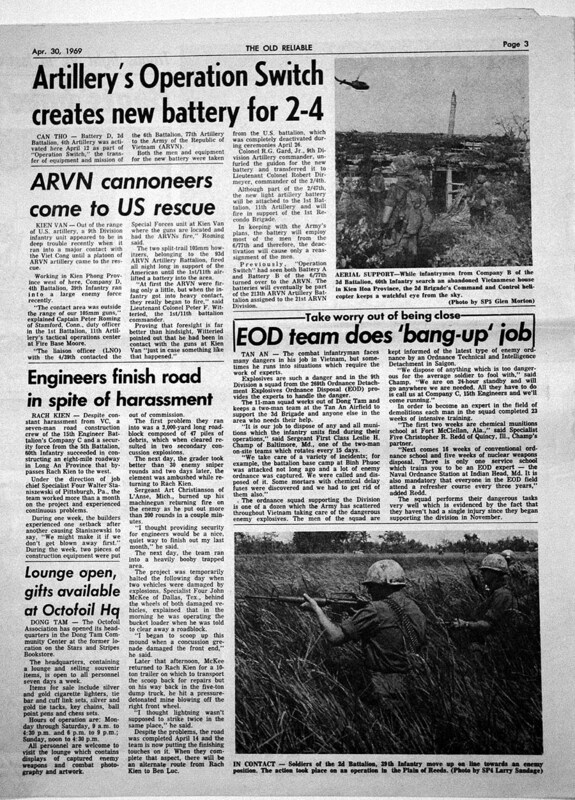 Delta battery was the primary support of the 6/31st from Can Giouc until the end of the 3rd brigade in Sept. of 1970. Found this piece in the Old Reliable newspaper. Looks like it was formed from another unit and then attached to the 1/11th Arty and at that time supported the 1st "Recondo" Brigade. Looks like one typo in the story "2/47th". Last edited by Niner Alpha on Wed Oct 03, 2007 8:31 pm, edited 1 time in total.